Largest choice, best locations, modern and well equipped properties. From Let Only to a Full Management Service, discover more about our award winning service! 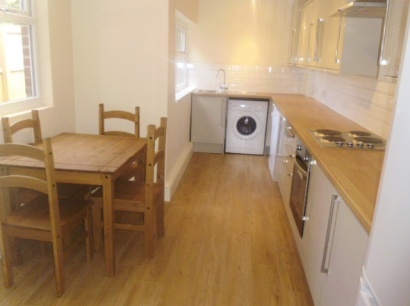 We provide quality Sheffield Student Houses and Apartments and will shortly be Letting for Academic Year 2019/20. "...I know they had a very positive experience in the property and as a mum i'd just like to thank you for making the rental experience itself so easy." 5 bed, £69 Per person per week or Bills Inclusive (Gas, Elec, Water + £15 Pppw). SAVE ON SUMMER RENT - MOVE IN 1ST JULY, 8 WEEKS HALF RENT JULY & AUGUST! 3 bed, £75 Per person per week approx. OR £85 pp/pw Including Gas, Electricity & Water Bills. 6 bed, £73 Per person per week Approx. OR + £10 PP/PW BILLS INCLUDED OPTION* (GAS, ELECTRIC & WATER) *see note on cap. SAVE 4 WEEKS SUMMER RENT - REFURB!! Sheffield's City Centre has seen an unprecedented level of redevelopment in the last decade and as such it has become a much more attractive place to live for students. With many different schemes of flats on offer and high rise buildings now dominating the landscape, many students choose to base themselves at the centre of everything as oppose to choosing one of the traditional student locations. Student Accomodation in Sheffield City Centre tend to be flats and these can have their advantages and disadvantages. They tend to be newer and cheaper to run in terms of utility bills, however they are often marginally more expensive rental wise and tend not to offer any outdoor space. The Golden Mile, Sheffield's King's Road or just coffee shop heaven - call it what you will, but Ecclesall Road is the most vibrant location for student accommodation in Sheffield. The area benefits from a wide variety or shops and entertainments. There are supermarkets, independent shops, fashion boutiques, traditiional pubs, gastro pubs, parks, bars and restaurants a plenty. Not surprisingly Ecclesall Road has become home to a huge student population of both "Hallam"and "Uni of" students. 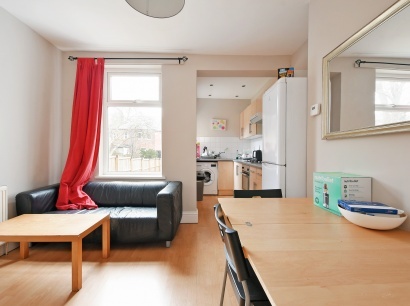 We are pleased to offer a plentiful array of student properties on Ecclesall Road to suit all tastes and budgets. Situated along Ecclesall Road, Hunters Bar has been home to students for years. Benefitting from plentiful housing stock, good local shops, exellent transport links and the nearby Endcliffe Park the area attracts students from both Universities. For those used to living in central Ecclesall Road around TESCO, Hunters Bar adds another 5 minutes or so onto your walk to lectures. However you will often find that the properties are larger and cheaper than those closer to the City Centre. Student Accommodation in Crookesmoor is the preferred choice for University of Sheffield students when carrying out their property search. With just a short walk to the S10 gym, the Arts Tower, the main campus and the City Centre - the advantages of living in this area are obvious. Shops, supermarkets and pubs are all close at hand as well. The popularity of this area with our tenants means we continue to offer a good supply of high quality student properties in Crookesmoor. Broomhall Student Housing is very popular for students at both Universities in Sheffield. Whilst not a "traditional" student area as say Broomhill is for University of Sheffield and Ecclesall Road is for Sheffield Hallam, the area has surged in popularity in the last decade or so as its proximity to the City Centre and West Street has become more valued to tenants and property investors alike. You won't find too many coffee shops or pubs in the area, but you will find alot of student housing and are sure to appreciate the little time it takes to walk into the "city". Broomhill Student Accommodation rests in the heart of The University of Sheffield’s sprawling campus. It’s close to Sheffield’s city centre, with its variety of shops and restaurants close to hand, and pubs are plentiful for students residing in Broomhill - some popular student favourites including: The York, The Place, and The Fox and Duck. Broomhill is also home to a number of independent shops, and one of its highlights, The Record Collector, has been a cornerstone of Sheffield’s music scene for decades. If you’re after a shopping destination with greater choice, don’t worry, there’s a Sainsbury’s Local and a Tesco Express within easy walking distance. The continued popularity of the area with our student customers means we have a plentiful supply of high quality student properties in Broomhill. 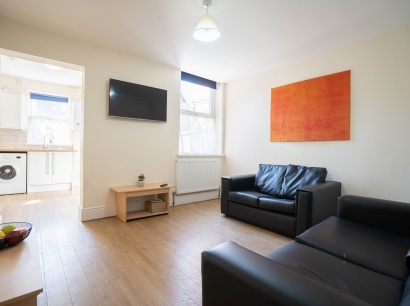 If you base your search for Student Accommodation in the Shoreham Street area you will find that the properties benefit from the fantastic proximity to the City Centre and Sheffield Hallam's Main City Centre campus - its all right on the doorstep. Just a few minutes walk and you are into Sheffield City Centre, saving you pounds in buses, taxis etc. 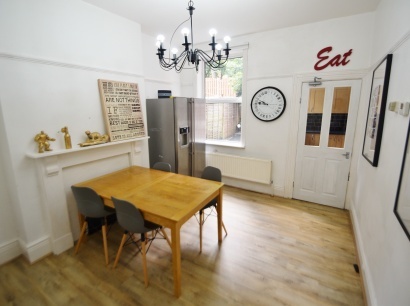 The area may not feel quite as swanky as the Ecclesall Road, but for many student customers this is offset by the increased convenience of the location and the slightly lower rental prices that are often found in this area. Added to this there's a local Asda, KFC and McDonalds all on your doorstep. Continue away from the University of Sheffield through Crookesmoor and you get to Crookes. Crookes is a very popular area for Sheffield students as it awash with plentiful student housing. Rows and rows of terraced houses and a main high street complete with supermarkets, pubs, restaurants and shops has meant the area has been home to University of Sheffield students for decades. It may mean a slightly longer walk for lectures, but this inconvenience if usually offset by slightly cheaper rental prices compared to properties in Crookesmoor or Broomhill.